A collection of transformative stories that emphasize women’s roles in society. 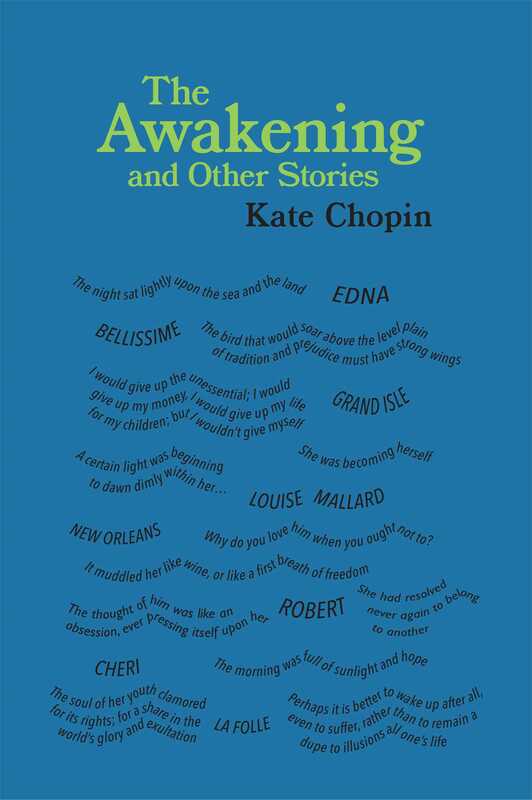 Kate Chopin was born in St. Louis, Missouri, in 1850, and moved to Louisiana in 1870 after her marriage. When her husband died in 1882, she and her children returned to St. Louis, where she started writing. The author of two novels and more than a hundred short stories, Chopin was one of the most well-known writers of her time. Her writing fell out of vogue after her death in 1904, but during the mid-twentieth century, her work experienced a revival, and is now considered a precursor to modern feminist literature.